Protect your pup from the rain with this waterproof raincoat in a rich teal blue colour with three hi-visibility stripes. 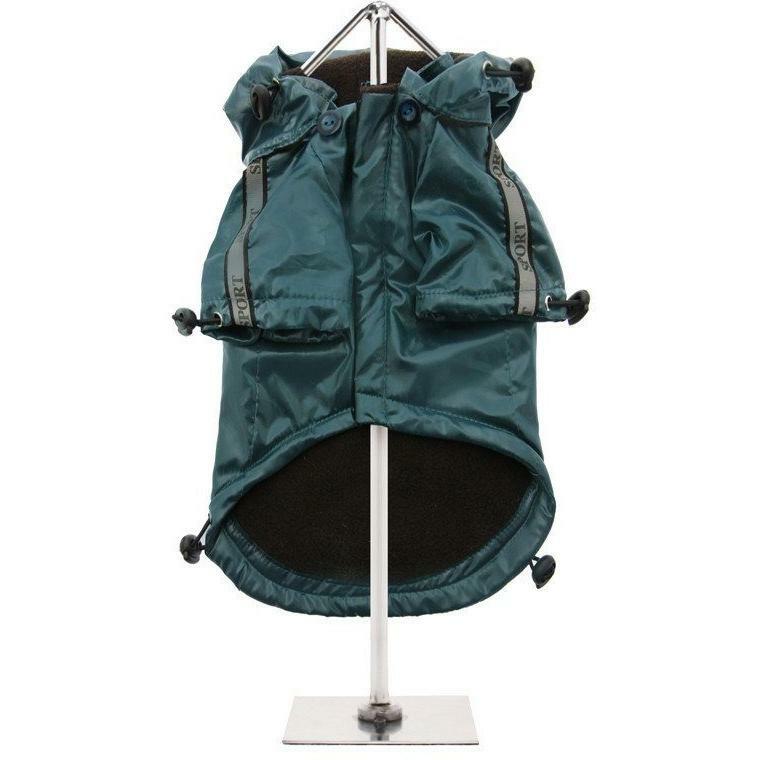 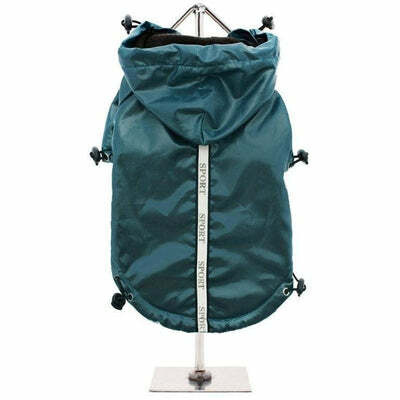 The adjustable draw string hood will keep the raincoat snug to your dog's face and a soft fleece lining will keep your dog comfortable. The Velcro fastenings make it easy to put on and take off your dog. Fiona Eickhoff F.E. 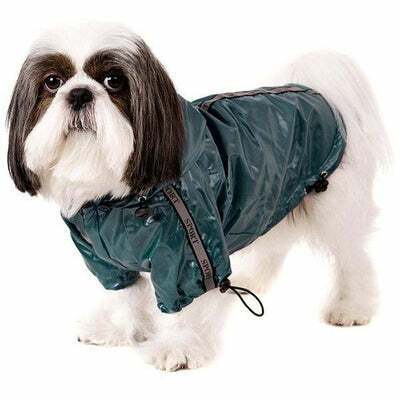 Fiona E.
lovely raincoat for my mums dog (maltese shitzu cross) loved having Velcro to do it up, fits better around his chubby tummy.